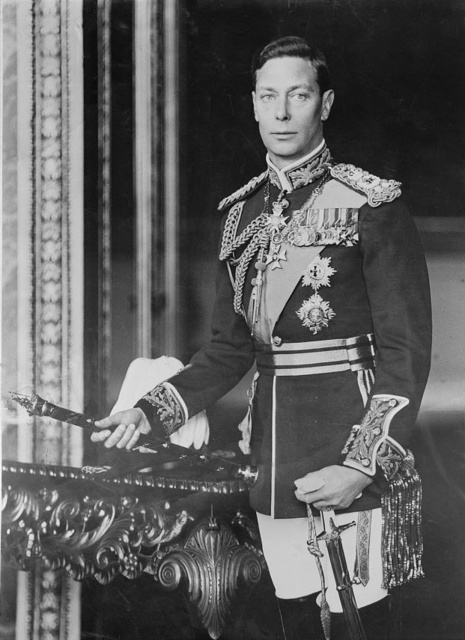 The GC was instituted on 24 September 1940 by King George VI. At this time, during the height of The Blitz, there was a strong desire to reward the many acts of civilian courage. Announcing the new award, the King said: "In order that they should be worthily and promptly recognised, I have decided to create, at once, a new mark of honour for men and women in all walks of civilian life. I propose to give my name to this new distinction, which will consist of the George Cross, which will rank next to the Victoria Cross, and the George Medal for wider distribution." The medal was designed by Percy Metcalfe. The Warrant for the GC (along with that of the GM), dated 24 January 1941, was published in the London Gazette on 31 January 1941. 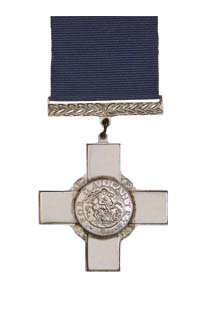 The GC was intended to replace the Empire Gallantry Medal (EGM); all holders of the EGM were instructed to exchange their medals for a GC, a substitution of awards unprecedented in the history of British decorations. This substitution policy ignored holders of the Albert Medal (AM) and the Edward Medal (EM), awards which both took precedence over the EGM. The anomaly was only rectified in 1971, when the surviving recipients of the AM and the EM were invited to exchange their award for the George Cross. Of the 64 holders of the Albert Medal and 68 holders of the Edward Medal eligible to exchange, 49 and 59 respectively took up the option.